Welcome to Jim Peters Golf! If you are looking to play better golf, have more fun on the golf course, and shoot lower scores – this is the place for you. Unlike many instructors, I want to go out on the course with you. Let’s see exactly where you waste strokes, how you think (or not) on the course, how consistent – or inconsistent – you really are. From this we can develop a roadmap or blueprint for real improvement, one that matches your goals and abilities. Yes, it's that simple. PGA Teaching Professional Jim Peters will show you how to start shooting career rounds -- like hundreds of his students have done. Simplify the swing, simplify the game, reduce practice time, and begin playing golf to your best level. 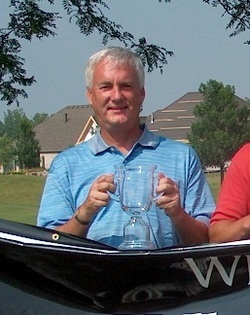 Book a lesson online today with Jim Peters Golf Lessons. Jim's simple approach to teaching the game and a keen eye for the golf swing make him a popular choice as an instructor for beginners and advanced players alike. I place emphasis on using your clubs for consistent ball-striking -- which will have you hitting more solidly, longer and straighter, and developing short game techniques to lower your scores. Get to the greens sooner, and learn how to turn three shots into only two shots. If a picture is worth a thousand words, then video lessons with Jim Peters are worth millions. That's because I use state-of-the-art high-speed digital swing analysis technology which allows me to accurately diagnose your swing issues and give you a prescription for success. I teach a simple swing theory. I look at your golf swing attributes (we want to keep these) and pinpoint YOUR golf swing faults (we want to replace these). One single trait among all successful golfers is “they know their own golf swing.” In just one golf lesson I can show you exactly where the “gremlins” are in YOUR golf swing and show you how to remove them. Individual lessons programs are just that -- individualized attention -- whether you are new to the game or a seasoned golfer. I don't try to make you swing just one way -- only in the way that fits YOU best. Private lessons are tailor-made to fit your ability, time and budget. Attention is given to your on-course game, full swing, short game or putting. 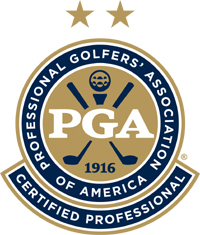 PGA-Certified Instructional Professional. The Latest Technology. Great Value. Book a lesson online today with Jim Peters Golf Lessons to start taking your game to the next level. Take lessons from the 2018 USGTF Teacher of the Year! 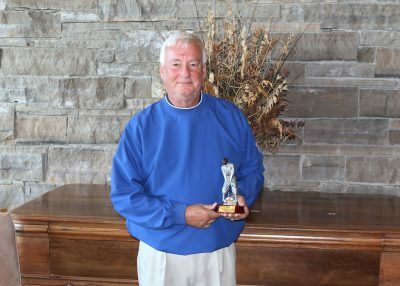 USGTF Master Teaching Professional James Peters of Newport, Kentucky, was named the sixth winner of the Harvey Penick Trophy for Excellence in Golf Teaching at the closing banquet and awards ceremony at the CGTF/United States Golf Teachers Cup in Niagara Falls, Ontario, October 3. According to Peters, looking and listening are the most important aspects of teaching. “I always liked the saying, ‘You have two eyes, two ears and one mouth; use them in that proportion. '”Peters is also an accomplished player, having in the past won multiple USGTF Southeast and Central Region titles. A graduate of the University of Notre Dame, Peters has been a longtime member and supporter of the USGTF. The Penick award is given annually to the USGTF member whose teaching accomplishments and service to the golf community are exemplary.